It can be difficult to choose a photo for your holiday cards. Should you choose something you already have, or take a new one? Use one from the beach this past summer or pose by the Christmas tree? Use a candid from last year’s present unwrapping or pose everybody in matching clothes? 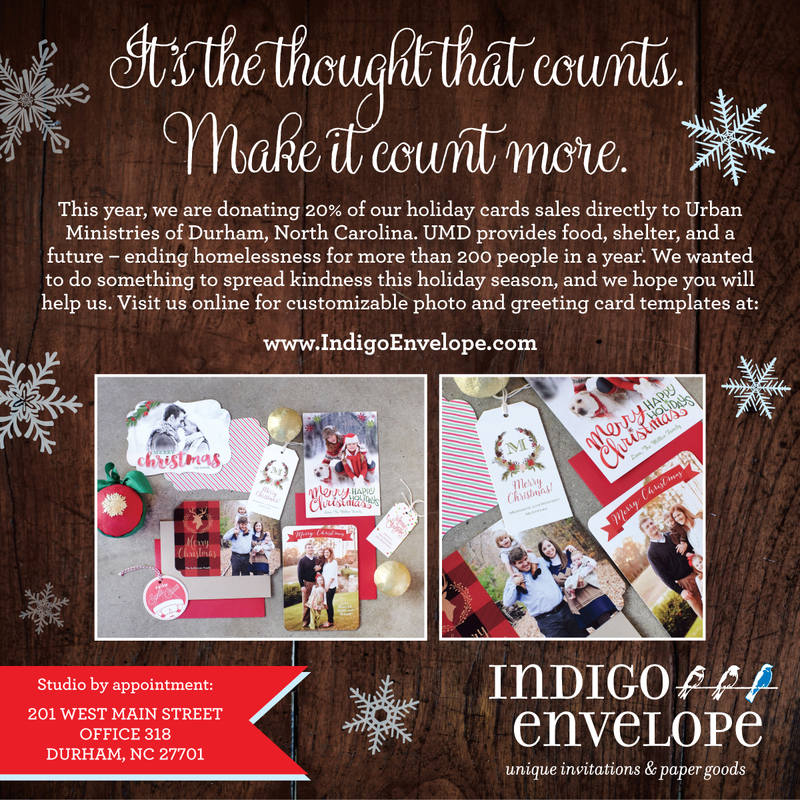 There are different ways to decide which photos to use for your holiday cards. First, you can choose a favorite photo that you already have. This might be easier , but can also be less fun and creative. 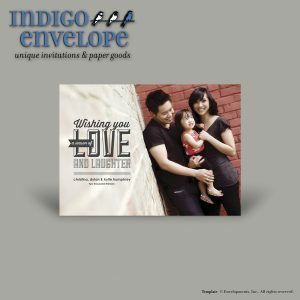 Next you would match it to one of Indigo Envelope’s templates and have us recreate the design just for you, using your photo or photos. 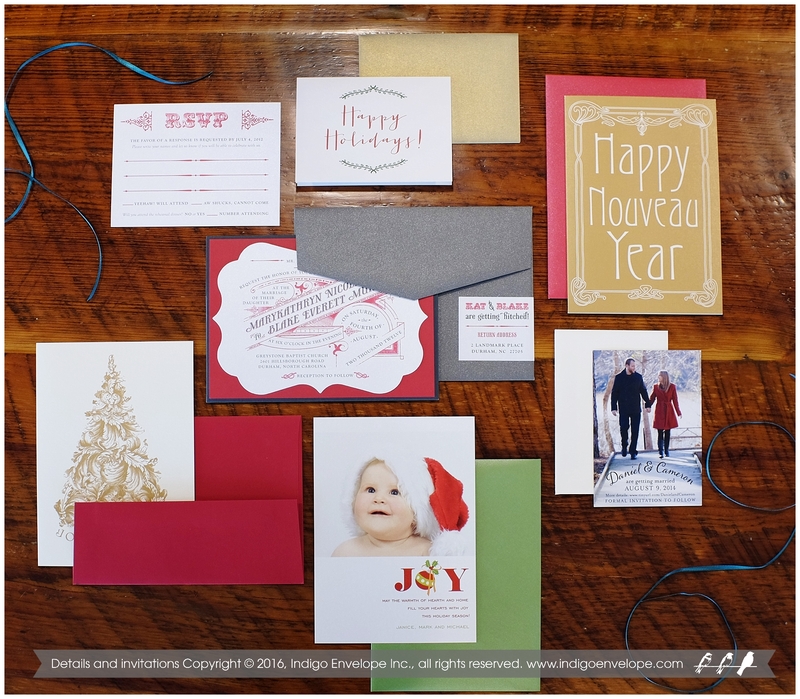 The other way to go is to choose one of our many templates and then take a photo that you feel would match the holiday card. 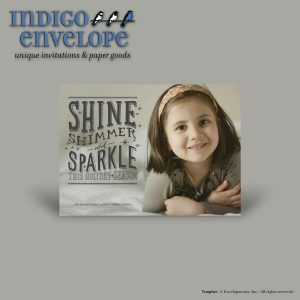 There are so many templates on our site to choose from. Spend some time perusing, and you will find one that matches what you have in mind. Candid photos work well on holiday cards because they capture personalities better than posed photos. To get the perfect Hanukkah or Christmas photo to use in your cards, take plenty of photos if you haven’t already chosen one. Take close ups, and zoom out as well. Shoot from different angles. 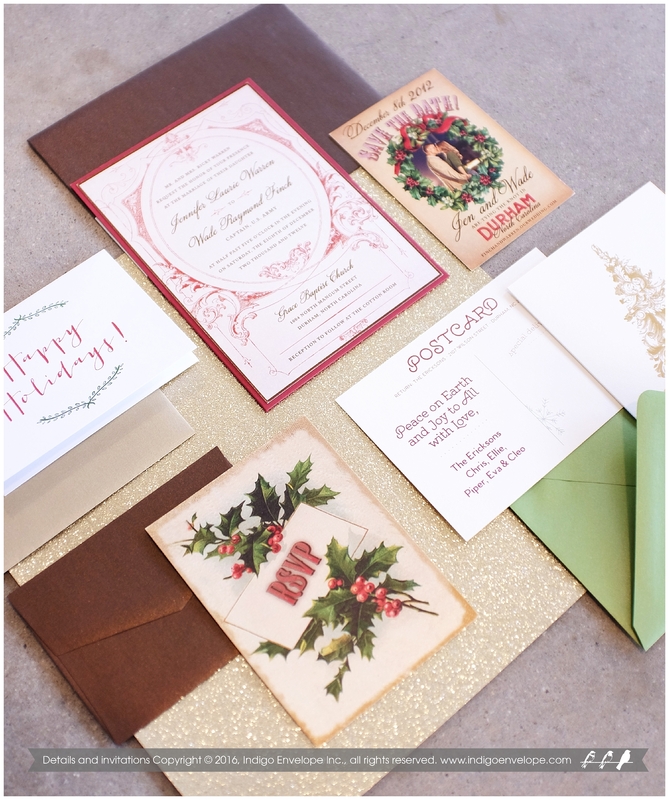 This way, you will have more choices for the perfect photo for your holiday cards. If you choose to pose the family, you don’t all have to wear the same outfit. You can dress in coordinating colors. Be sure, however, that you don’t blend in with the background (often a fireplace, menorah, or Christmas tree). The most important part of choosing a photo for your holiday card is to choose a template that you like, and a photo that shows who you really are. Be real, show your personalities, and they will shine through.